When I started this blog in 2014, I was inspired by a friend’s thought to make her life a cloister in a noisy world. At the time, the image struck me as a purely lovely one, but in the intervening months and years, it has become more than a nice idea. It seems a necessary one. Our world, I think most would agree, has us all increasingly on edge, in part because of events, but also because of the growing presence of noise both audible and visual. As I have written here before (Rest for the Word Weary, Engaging Silence, The Habit of Being Quiet), more and more we live surrounded by sounds and images, whether it’s ringing, beeping, buzzing phones, blaring music, vehicular and industrial noise, or glowing screens with mesmerizing messages. Every technological improvement seems to introduce a new sound, picture, or distraction, and still another level of stimulation. This has us all on high alert so that when something truly big happens, we feel frazzled and overwhelmed. Although we sense an underlying commotion and turmoil, the beat goes on and we march to it, unaware of the effect all the “prompts” of contemporary life are having on us. Even my public radio station, once a haven of rest that provided large blocks of soothing classical music, recently added news breaks to the top of each hour of music in the early hours of the day. I discovered this when, after years of waking to gentle melodies, I started to hear droning voices reading the news. When I inquired about the change, I learned that other listeners liked it. I have since turned the radio alarm off and now awaken to a soft beep. As former allies like my public radio station succumb to the demand for still more stimulation, it is good to know that others recognize the need to carve out quiet spaces amid the clatter of these times. One of these is Cardinal Robert Sarah, whose book, The Power of Silence: Against the Dictatorship of Noise, is a call to step outside the din and encounter that which is waiting for us if we will only be still. In writing the book, Sarah and his co-author, journalist Nicolas Diat, visited what Sarah called “the most silent place in the Catholic Church” – La Grande Chartreuse, a Carthusian monastery in the French alps and the subject of the 2006 film Into Great Silence. The monks of Chartreuse keep silence on several levels. They do not converse without permission from a superior, spending their days apart from each other and joining their fellow monks only for certain common prayers and worship. They do not watch television or listen to the radio, nor do they read newspapers or the Internet. And of course, they do not carry cell phones. Their silence is intended to help them listen to God, who, as their prior general says, “does not speak loudly,” and to enable them to pray for the world, something they do even in the middle of the night. Theirs is a demanding way of life and one to which few are called. But they offer us insight into our engagement with the world and perhaps a model for survival amid its raging clamor. Because such discoveries can be unpleasant, he says, we try to keep them outside our consciousness by maintaining noise, which is easily done in a world filled with information, sounds, and images. In fact, this noise is so pervasive that de Lassus says, shielding ourselves from it requires a kind of spiritual fortitude. The monks at Chartreuse are protected by their seclusion and their rule of life. For example, the rule provides that only one of them – the prior general – reads the newspaper and in turn informs the rest of important news in their church, country, and the world. Years ago, when I first struggled with trying to live a spiritual life in a material world, my late father would tell me, “Jude, you’ve got to live in this world,” emphasizing “live.” He was gently suggesting that because mine was not a call to the cloister, I had to find a balance between the work I did in the highly stimulating – and secular – environment of a newsroom and that which draws monks to a monastery. Today, I hear my father’s words being spoken into an even noisier, more secularized world, challenging me to extract peace from the chaos, make space for silence, and use technology without being used by it. A woman who lives in a nearby small community recently told me she has no TV in her home and that if she could get rid of her phone she would do so. Although she works and goes to school, she manages to live a quiet and simple life, one that does not require a steady diet of social media or news, most of which she has found to be lacking in substance and significance. Between books and a computer, she maintains her connection to the world, but more importantly, she says, she is renewing her connection to God by learning to sense the divine presence in the stillness she is fostering in her home. Her example is an inspiring one for those of us who must “live in this world,” but hunger for the peace it cannot give. We cannot all keep the silence and solitude of the Carthusians, but we can expand the presence of both in our lives by facing the unpleasantness of thoughts and fears that emerge in quietude and resisting the urge to cover them with noise. We can choose silence over a radio or Podcast, mute our phones or change their sounds to calming ones. We can read books instead of turning on the TV just to see what’s on. We cannot escape all news, but we can temper our exposure to it by minimizing the number of sources we consult, choosing ones we can simply read without the interference of sound and moving images. And when we read, we can filter out the useless to focus on the essential. In so doing, perhaps we can create our own monasteries amid the madness, fostering silence and solitude in a world that desperately needs the peace that comes from both. 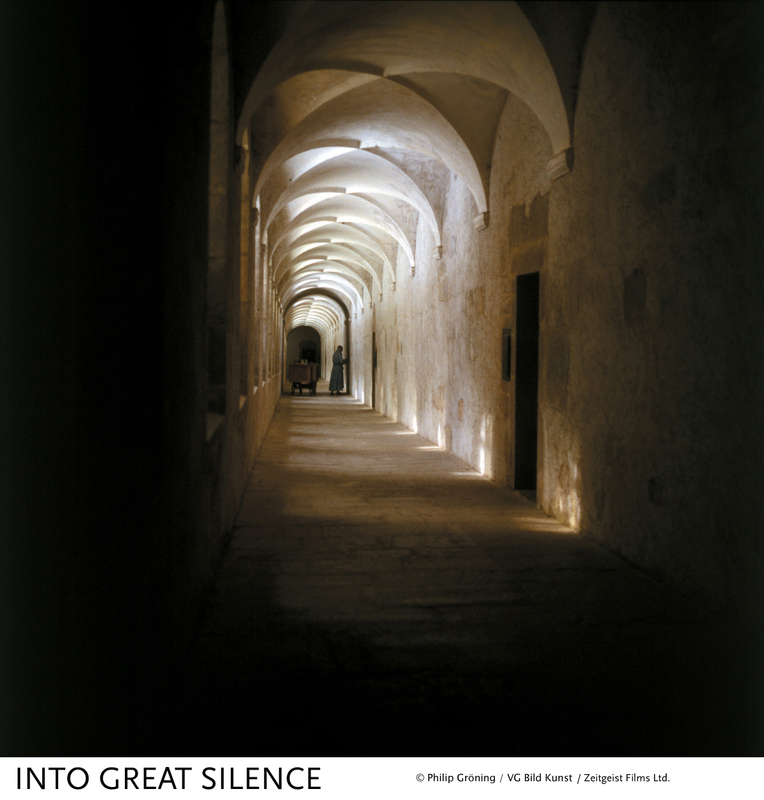 This entry was posted in contemplative living and tagged Cardinal Robert Sarah, Carthusians, cloister, Into Great Silence, La Grande Chartreuse, monasteries, monks, need for silence and solitude, Nicolas Diat, noise, The Power of Silence: Against the Dictatorship of Noise. Bookmark the permalink. Good one, Judy. I can go most of the day without the radio or TV. There is just too much noise in the world. Thank you for the comment, Percy. I’m encouraged that you can go most of the day without radio or TV. So many of us respond to the noise with more noise. You give me hope. Beautiful! The depths we could reach if we only could listen. Silence sharpens our hearing doesn’t it? It does indeed, Diane. Let’s keep listening together. Your “popcorn brain” image certainly resonates, Diane, as does your finding peace and direction in the silence and prayer. Thanks so much for reading and for sharing your experience. This time of year is always especially challenging for me in terms of finding time and places to just be quiet. I feel lots of pressure to do things that don’t bring me happiness. I normally find the most peace when I turn to nature, with long walks in the woods. But recently I spent some time quietly sitting in front of my favorite Van Gogh painting at the Toledo Museum of Art, and that always helps my body and mind feel more peaceful. Thank you, Kim! Your experience of feeling pressure to do things that don’t bring happiness rings true. I like your better choices, especially the museum as the weather turns colder. And yes, let’s plan on getting together soon. So appreciate your thoughtfulness of how we bring the formative practices of the monastery into our lives when we don’t live in monasteries.